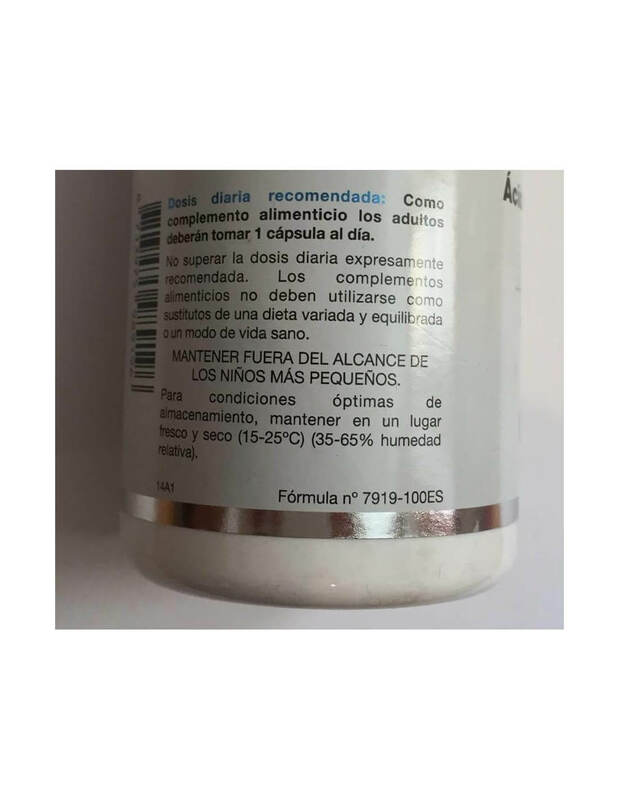 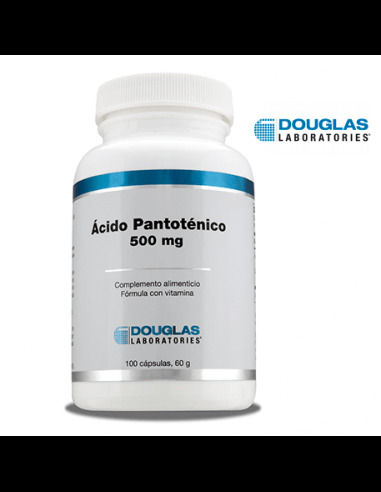 Cada cápsula contiene 500 mg de ácido pantoténico. 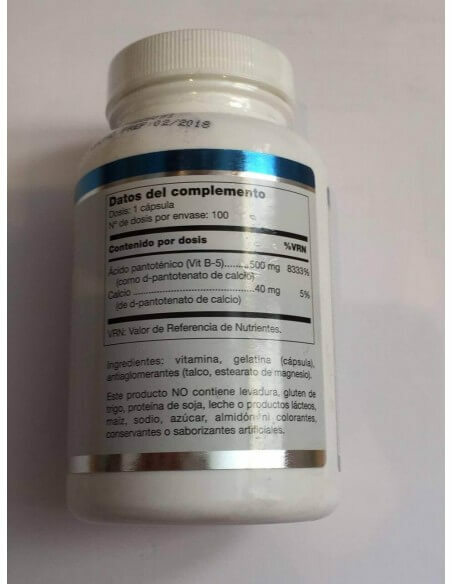 Vitamina, gelatina (cápsula), antiaglomerantes (talco, estearato de magnesio). 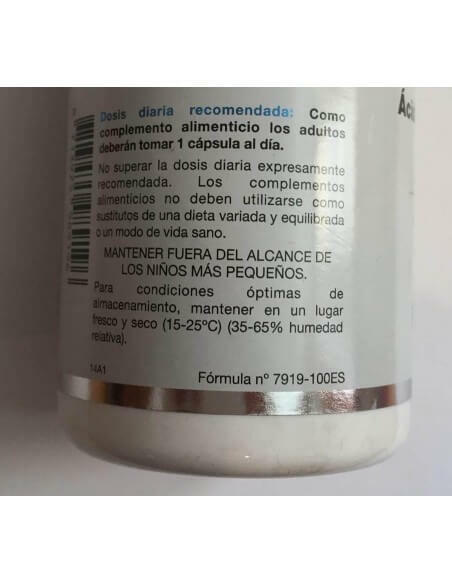 Vitamin and mineral complex for children. 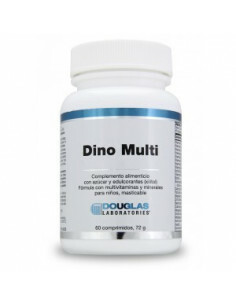 It helps in the stage of growth and development, increasing energy and keeping them immune. 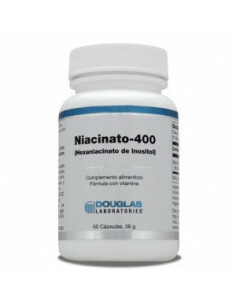 Niacinate-400 is useful for people who wish to support the cardiovascular system of the body supplement. 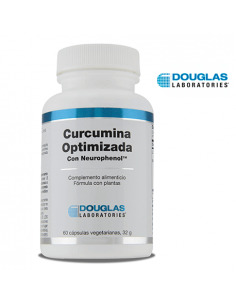 Improve wound healing, regulate blood glucose and secretion of certain hormones with this supplement. 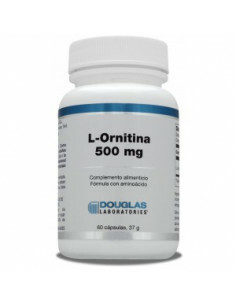 Quantity per Container: 60 Capsules. 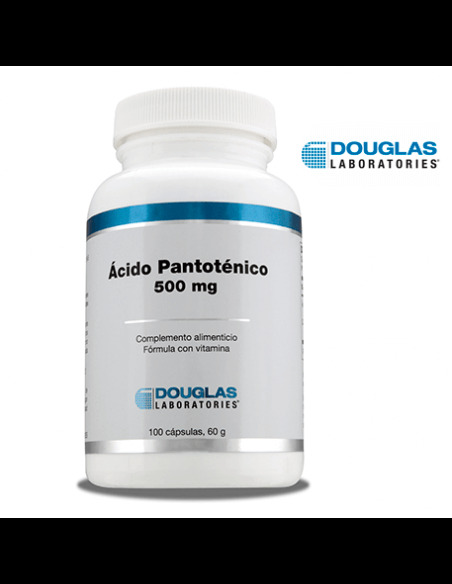 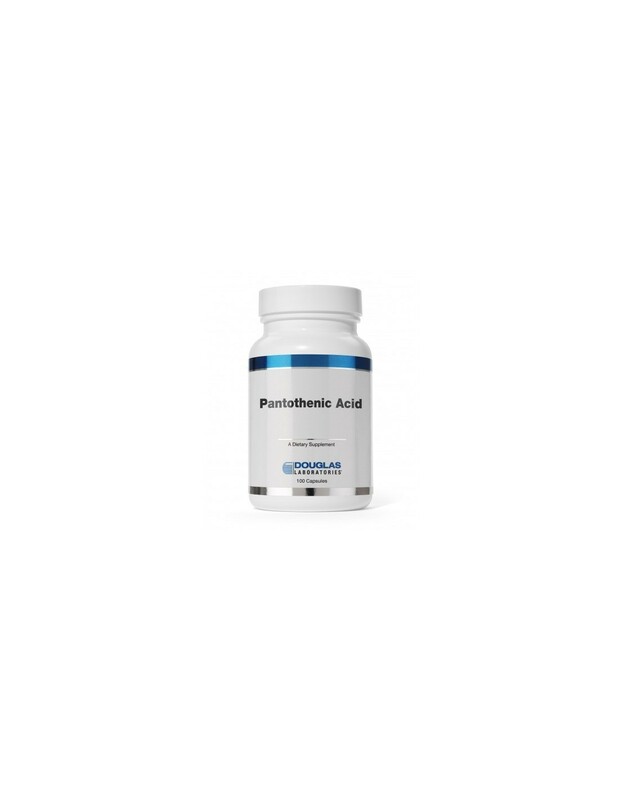 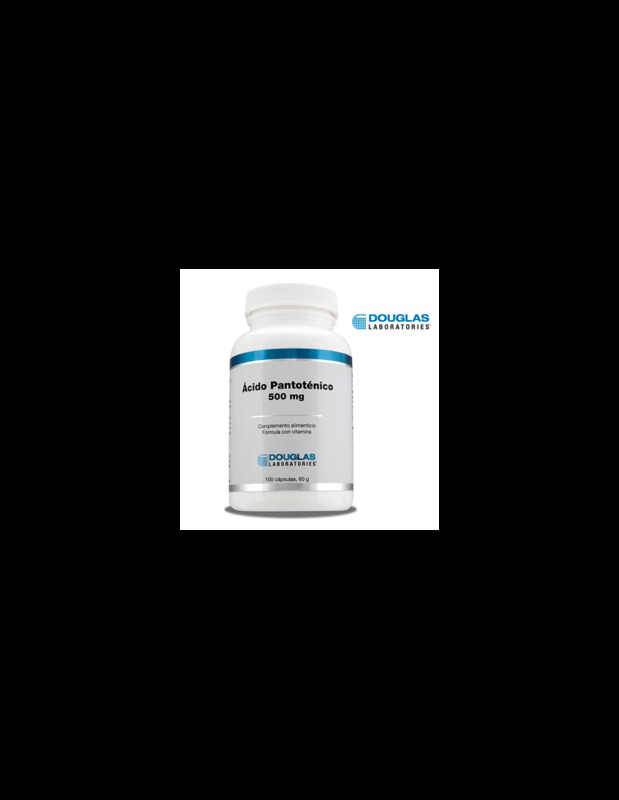 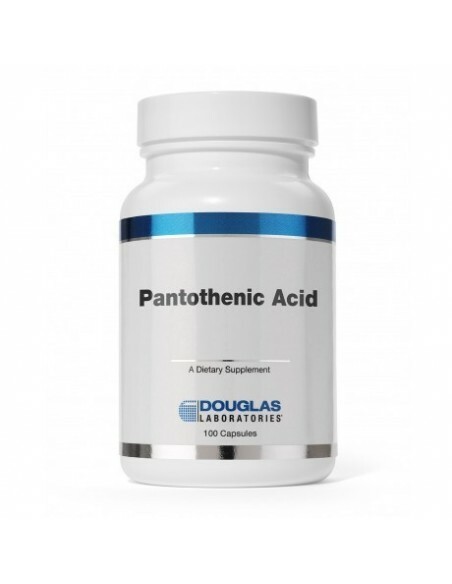 Keep longevity, vitality and improve cognitive ability with this dietary supplement. 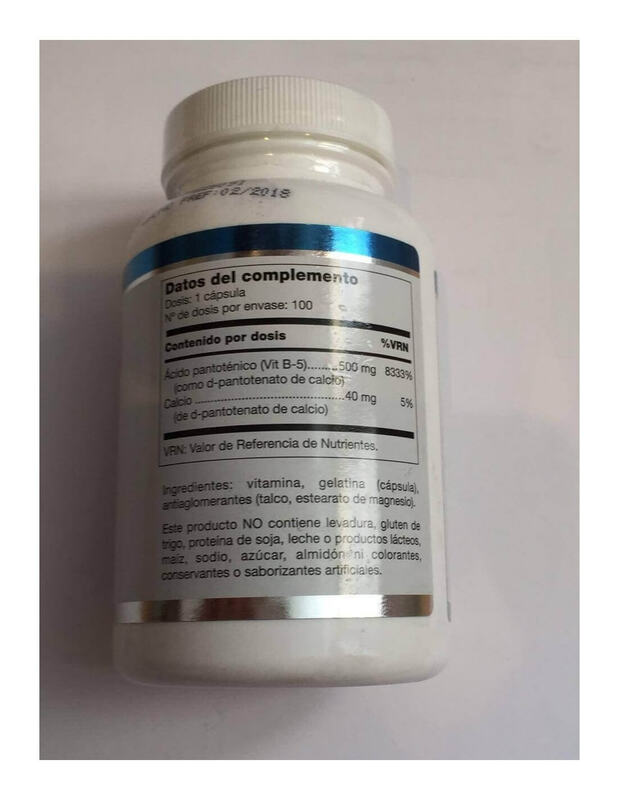 Quantity per Container: 60 vegetarian Capsules.